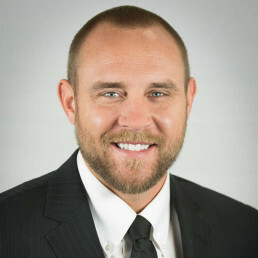 Curren has been with the NAI Commercial Real Estate Brokerage since 2007. He is proud to be a top producing agent in the largest Commercial Brokerage in Southern Utah. Curren has extensive experience in selling all types of Commercial & Investment Properties including Land, Multi-Family, and Businesses. Curren’s top priority is to his clients through his honesty, consistency and follow through. He has extensive experience in Short Sales, and marketing Bank owned (REO) assets. Curren has leased a couple hundred thousand square feet in the Retail, Office, and Industrial sectors. He also has extensive experience working with Corporate and Investment Brokerage Services including Corporate Sales and Leasing Services. Curren has experience in all commercial segments, including, Office/Retail/Industrial/Land/Mulit-Family and Commercial Farming and Ranch property brokerage. Curren is licensed in Utah and Nevada. Some of Curren’s recent clients include, Global Access, Overstock.com, CargoGlide, Freightliner of Utah, H&R Block, Ace Hardware, Midland States Bank, Kingston Management, Community First Bank, Hotel Developers as well as many other regional and national Industrial and Retail users.